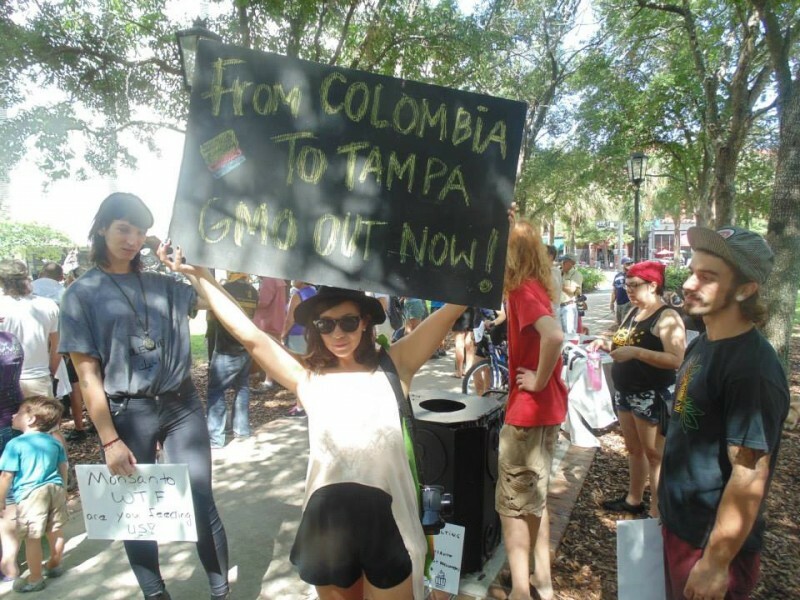 Tampa marches against Monsanto | Fight Back! The crowd listened to speakers talk about the importance of honest labeling practices and healthy, sustainable agriculture after some time of sign making and petition signing. A large contingent of the organizers as well as the marchers was dressed as honeybees. Speakers reminded the crowd of how Monsanto’s practices are designed to make more profits for the big agriculture companies. 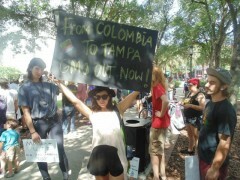 The crowd marched down Kennedy Boulevard for about a mile before turning back and ending at the park.